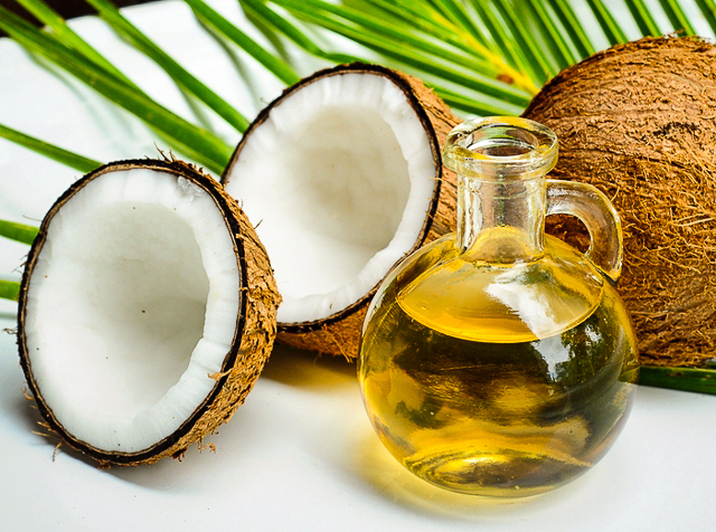 Coconut Oil is chock full of benefits for both health and beauty. You’ll want to take note of these – they could change your life! Coconut oil can be used internally and topically making this one fabulous oil for a myriad of uses. As a side note – it’s delicious to cook with! Helps your body mount resistance to viruses and bacteria. Can help fight off yeast overgrowth, fungus, or candida. Can positively affect our hormones for thyroid and blood sugar control. Can help improve insulin use in the body. Helps body absorb fat-soluble vitamins. Can increase good cholesterol in the body. Can help restore normal thyroid function. Can help in keeping weight balanced. Can help with aging by stopping the damage to other healthy fats and tissues in our bodies. Makes a wonder natural moisturizer for the skin. The amount of Vitamin E contained in coconut oil makes it an excellent skin protectant. Makes a fantastic deep conditioner for hair. Can be used as eye makeup remover. Can be used as a lip moisturizer for chapped lips. Can be used on cuticles. Coconut oil can be mixed with sugar or salt to create an all-natural body scrub. Makes a great massage oil as it does not absorb into the skin immediately.